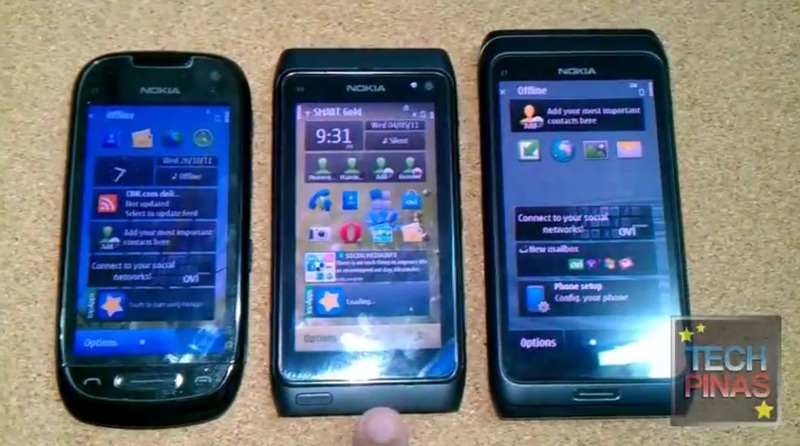 techpinas takes a look at the Nokia C7, Nokia N8 and Nokia E7 comparing the differences and similarities of all these devices. From left to right, they go in ascending order of price. But the latter isn’t clearly the best by any means physically. E7 whilst having the keyboard and massive 4″ CBD display does not have the spectacular camera of the Nokia N8. The N8 does not have the NFC capabilities (at least not that we know of) of the C7, and neither does the E7 again.